American Indians experience a disproportionately high arrest and incarceration rate in the state of Montana. In 2015, American Indians comprised less than seven percent of the Montana population but accounted for a higher percentage of Montanans arrested and incarcerated. Barriers to accessing adequate support during incarceration and upon reentry often results in higher recidivism rates. Montana can do more to invest in systems that provide meaningful and tribally-focused support for those arrested to reduce recidivism and save state resources in the long run. 17 percent of the overall adult corrections population. In 2016, American Indians comprised 17 percent of the overall adult corrections population including those in: pre-release, chemical dependency/alcohol treatment, assessment/revocation centers, and county jails; parole and probation; and prison, where one in five male inmates was an American Indian man and one in three female inmates were American Indian women. Clearly, there is a need for more innovative interventions that can reduce these rates. 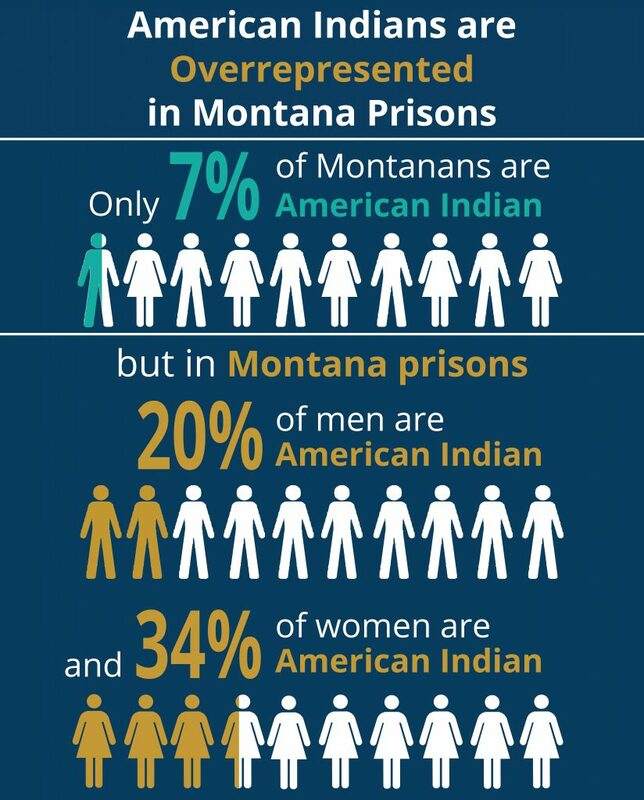 MBPC’s recent report, “Criminal Justice Reinvestment in Montana: Improving Outcomes for American Indians,” highlights these innovations, including investing in substance use and mental health treatment both inside and outside of the justice system, integrating culturally-based, trauma-informed therapies into treatment programs, and providing cultural awareness training to corrections staff to create supportive environments conducive to positive change for American Indians. This report focuses on the value of holistic defense – an approach to the criminal justice system that seeks to address human needs, like access to stable housing and transportation, and tribally-focused reentry programs. The value of this approach and these types of programs in reducing recidivism is significant. Holistic defense is an innovative, individualized, client-centered model of public defense that extends beyond the courtroom and achieves better outcomes for clients, their families, and communities. It combines strong legal support by public defenders and legal advocates with a concerted effort to address the fundamental social issues that bring people into the criminal justice system, as well as the other consequences of their convictions, such as driver’s license revocations and housing evictions. This process is explained in more detail below. The four key aspects of holistic defense are: (1) a commitment to intentionally working to address clients’ most pressing legal and social support needs by immediately connecting them to the services they need most; (2) open and frequent communication among all members of a broad support team staff; (3) public defenders who advocate for their clients using a special, interdisciplinary set of tools and training related to the concept of holistic defense; and (4) an authentic connection to and a strong understanding of the community and individuals being served. As discussed in “Criminal Justice Reinvestment in Montana: Improving Outcomes for American Indians,” local tribal stakeholders have identified peer mentoring and support, and assistance with securing housing, employment, and transportation as a crucial piece of successful reentry. This type of support is a fundamental component of holistic defense, which has been shown to reduce recidivism by facilitating successful reentry. Holistic defense, which has proven to be highly successful around the country, has also made a significant positive impact in Montana where the Confederated Salish and Kootenai Tribes (CSKT) Tribal Defenders Office has had a holistic defense program since 2011. The CSKT’s holistic defense program has helped reduce recidivism by 50 percent among chronic reoffenders suffering from substance abuse and mental illness. Source: “Montana Seeks a Holistic Approach in Public Defender System,” Flathead Beacon, February 8, 2017. The CSKT’s holistic defense program has helped reduce recidivism by 50 percent among chronic reoffenders suffering from substance abuse and mental illness. This has been accomplished through the coordinated efforts of social workers to assist tribal justice officers in linking clients with important programs and resources in the community. The CSKT’s holistic defense program has assisted American Indians incarcerated in tribal, county, state, and federal corrections facilities. The CSKT Tribal Defenders Office relies on a reentry and in-take assessment tool as well as their own measure related to the specific American Indian population they serve. These assessments are administered by case managers and are used to ensure clients receive support tailored to their needs. A big component of case management relates to the services provided through the associated Flathead Reservation Reentry Program. This program assists clients in obtaining driver’s licenses, education/GEDs, legal assistance, transportation, job training, employment, housing, food, as well as medical, mental, and behavioral health care. Case managers also assist clients with applying for social security and/or other benefits. 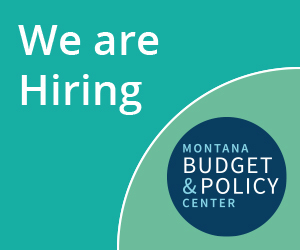 A reentry attorney is also available to reach out to tribal members within the Montana Department of Corrections (DOC) to assist with parole planning and resolving collateral consequences of criminal convictions, including evictions, driver’s license revocations, and registration requirements. The attorney also assists tribal members in the sentencing process at the state level by advocating during the presentence process and ensuring that the DOC is aware of rehabilitation needs as identified by the assessment tool. The reentry program has also partnered with tribal behavioral health and assists with access to mental health and chemical dependency services in addition to the clinical psychology services offered in-house at the reentry program office. Finally, the program coordinates a cultural mentoring program that assists tribal members in reconnecting to their tribal community by meeting with volunteer mentors approved by the culture committees. Mentoring can take the form of individual counseling with mentors, mediations with persons wronged, or meeting with tribal elders. 76 were moderate- to high-risk for reoffending. After two years, 90 individuals who had been previously incarcerated had obtained employment; 60 had enrolled in Medicaid and gained access to needed services; 30 had obtained housing; 14 had enrolled in inpatient chemical dependency treatment; and 100 had received in-house psychiatric services. After the first year of those participating in the CSKT’s holistic defense program, recidivism among clients dropped from 100 percent to an astonishing 35.5 percent. Source: Montana State-Tribal Relations Committee meeting, Presentation by Ann Miller, March 29, 2018. Furthermore, 230 people had obtained legal assistance from a reentry attorney who helped them complete applications for parole while incarcerated; 43 of these individuals secured early release. As a result of these efforts and outcomes, after the first year, recidivism among these chronic reoffenders went from 100 percent to an astonishing 35.5 percent. While this is a good first step, MBPC urges policymakers to work with tribes to establish a Tribal Reentry Program similar to CSKT’s on each reservation, as well as to establish a specific Tribal Reentry Program within the DOC to assist with off-reservation reentry efforts. Taking these steps can help reduce recidivism and the overincarceration of American Indians by the state. “Montana Commission on Sentencing: Third Meeting: System Analyses, March 1 and 2, 2016,” http://www.leg.mt.gov/content/Committees/Interim/2015-2016/Sentencing/Meetings/Mar-2016/Exhibits/cos-csg-slides-updated-day-1-day-2-march-2016.pdf; U.S. Census Bureau, 2012-2016 American Community Survey 5-Year Estimates,” https://factfinder.census.gov/faces/tableservices/jsf/pages/productview.xhtml?src=CF. Montana Department of Corrections, “2017 Biennial Report,” p. C-4, https://cor.mt.gov/Portals/104/Resources/Reports/2017BiennialReport.pdf. The Bronx Defenders, “A new model of public defense,” (no date), https://www.bronxdefenders.org/holistic-defense/. Kathleen Little Leaf, Kevin Kicking Woman, Erin Kautz, Danielle Vazquez, Evelyn McCoy, Carla Vazquez-Noriega, “Missoula County Native Outreach Project” (PowerPoint presentation); Ann Sherwood, Jana Staton, Landee Holloway, “People in the Criminal Justice System and Community Advocates,” June 22, 2016, https://csgjusticecenter.org/wp-content/uploads/2016/06/People-in-the-Criminal-Justice-System-and-Community-Advocates.pdf. Bobby Caina Calvan, “Montana Seeks a Holistic Approach in Public Defender System,” Flathead Beacon, February 8, 2017, http://flatheadbeacon.com/2017/02/08/montana-seeks-holistic-approach-public-defender-system/. Montana State-Tribal Relations Committee meeting, Presentation by Ann Sherwood, March 29, 2018. Confederated Salish and Kootenai Tribes, “Coming Home: Flathead Reservation Reentry Program: Returning to the Reservation after Incarceration: Community Resources” brochure, (no date), http://leg.mt.gov/content/Committees/Interim/2017-2018/State-Tribal-Relations/Meetings/Mar-2018/sj3-flathead-reentry.pdf. Lailani Upham, “CSKT Tribal Defenders office strives to help tribal members,” Char-Koosta News, March 3, 2016, http://www.charkoosta.com/news/cskt-tribal-defenders-office-strives-to-help-tribal-members/article_c3cb26b8-528f-552f-a472-cbd115e93f53.html.